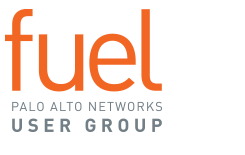 The Fuel Virtual Test Lab offers an environment where users can practice and get familiar with the Palo Alto Networks Next-Generation Firewall. The pre-built lab environment provides access to desktop clients, Linux servers and Palo Alto Networks Next-Generation Firewall, and allows users to freely configure to test different features. Use this virtual playground to learn and test features or complex topics that you might not be able to in your production network. Get hands-on experience with the interface at their own pace. Discover any challenges or benefits in advance of production implementations. Dig into new features, run reports, configure policies and much more. From Admin-Level Commit and Revert capabilities to creating Selective Log Forwarding Based on Log Attributes, PAN-OS 8.0 is sure to take cybersecurity to the next level. Experiment with these and other features in the Virtual Test Lab environment. Check out the Fuel Virtual Test Lab Quick Start Guide to get some ideas on how to get started. Click here to see a schematic of the Fuel Virtual Test Lab and explore more ideas for making the most of your lab experience. PAN-OS 8.0 is here: Fuel's Virtual Test Lab has just been updated, which means you now have access to PAN-OS 8.0! Explore the latest enhancements, simulate various scenarios outside of your production environment, and practice setting and running reports, policies, and more. 1 Additional Hour: Based on your feedback, we've added more time. Now you have 4 hours to work in the lab once you log in to your session.